Very versatile cooking & grilling sauce. This award-winning sauce adds great flavor to steaks, ribs, chicken, lamb, pork, burgers, stews, or eggs. Bottled in Sarasota, come try this new sauce at our tasting events. Great marinade or dipping sauce too. Available in 15 oz bottle. Narragansett Lager or Tampa's own Cigar City Jai Alai served with Steve's Gourmet Olives Bloody Mary mix. There will be chicken & waffles too, along with Mediterranean flat breads & salads featuring Steve's Gourmet Olives. Thanks Kim, Ben & Todd for helping us set this amazing menu. Hosted by Generation Food Truck, this event features area food trucks, vendors & restaurants cooking up bacon-inspired dishes. Free admission. Burger Culture next to Harley Davidson. 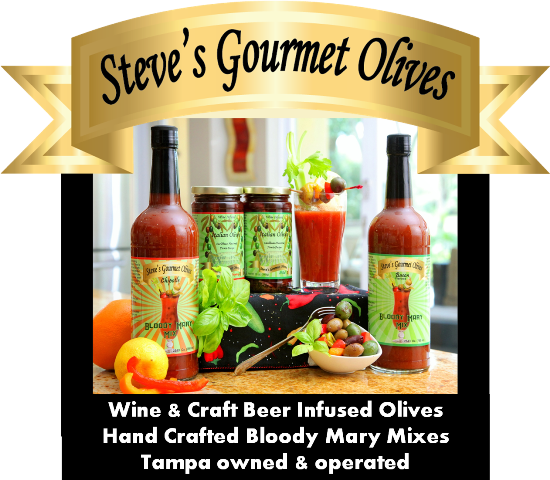 The following greater Tampa Bay retailers carry Steve's Gourmet Olives products. Products vary by location. 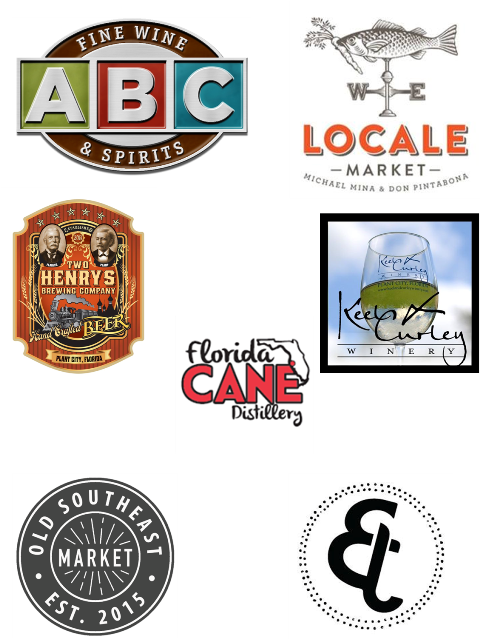 Sun Jul 17th - BRASS TAP BLOODY SUNDAY, 12 - 3 pm, 37916 Pasco Ave, Dade City, FL 33525, Sunday brunch featuring beer cocktails and Mediterranean flatbreads & salads featuring SGO products. Tues Jul 19th - MEANINGFUL MENTORING MIXER, 6 - 8 pm, The Hip Room, WWOTB event to support the Working Women Foundation. For female entrepreneurs looking for mentoring support. Free to participants, future participants $10.